Upstate South Carolina is perhaps the best-kept secret in the country. Boasting a number of inviting, culturally distinct cities, the region combines a wealth of big city cultural and entertainment attractions with small-town southern charm and accessibility. The people of Union County, in particular, are friendly and outgoing—and the surrounding cities remain intimate and relaxed. Even as the area grows and evolves to accommodate business diversity and economic development, there is an inviting, relaxed atmosphere that makes people feel at home. Within Union County and the nearby area lies an exciting world of activities and diversions and opportunities for leisure. With plentiful lakes, rivers, and streams, hiking trails, and over 55,000 acres reserved as part of the Sumter National Forest, Union County is a natural playground for the outdoor enthusiasts. The scenic Broad River flows right through Union County, and nearly 62,000 acres of the County have been reserved as part of the Sumter National Forest. History buffs will enjoy quiet walks down streets lined with homes from centuries past, or taking tours of beautifully restored antebellum homes and gardens. Historic downtown Union is filled with unique specialty shops, friendly people, beautiful architecture and many nearby points of interest—both historical and recreational. Sports fans will find a variety of venues, from high school athletics and local collegiate action, to professional sporting events. Nearby Charlotte is home to the NFL’s Carolina Panthers—and the city also attracts thousands of NASCAR fans throughout the year for racing at Lowe’s Motor Speedway. If golf is your game, there are more than 35 scenic and challenging courses around the upstate, including signature courses designed by the game’s finest architects: Dye, Fazio, Nicklaus, Palmer and Jackson among others. As for the arts and cultural events, the region abounds with some of the South’s finest museums, theater venues, and fine arts centers in the country. A short drive will get you to big-time shows on center stage…premier exhibitions at world-renowned museums… as well as plentiful opportunities for browsing through the many galleries, shops, and studios in this culturally rich area. Union County Schools and its stakeholders commit to students first in building community, excellence, and life-long learning. 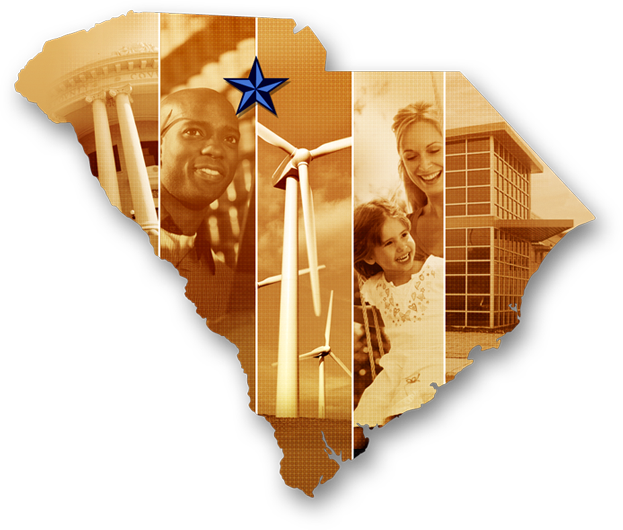 The county is fed by a healthy, skilled workforce and strategic network of institutions for learning, including nationally recognized colleges and universities, technical colleges, state-of-the-art high schools, and various middle and elementary schools. 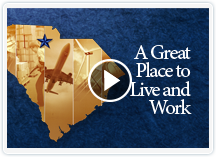 Upstate South Carolina is blessed with world-class medical systems and thousands of surgeons and physicians who excel in their respective fields. The 10 Upstate counties are served by 14 state-of-the-art medical systems which provide more than 4,600 general medical and surgical beds. Of the four Level 1 Trauma Centers in South Carolina, the Upstate is home to two—Greenville Memorial Hospital and Spartanburg Regional Medical Center. The Union County Museum is owned and operated by the Union County Historical society. It is located in the Historical District of Downtown Union. Visit them online at: www.unioncountymuseum.com. The Big Buck Race: A Race Like No Other! Union County saw its first Big Buck Grand National Cross Country in 1997, and the 2012 VP Racing Fuels Big Buck GNCC is the sixteenth. Over the course of that many years, over 16,000 riders from all over the world have participated in the Big Buck GNCC events. Learn more about GNCC at www.gnccracing.com or about Big Buck Racing at: www.bigbuckracing.com.